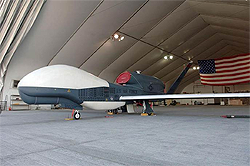 Unmanned Warfare – The Way To Go ! How long has mankind dreamed of settling disputes between nations in ways other than declaring war and losing thousands if not millions of troops? Well, we could be there – now!! This is not a recent innovation. Several hundred years ago, with the development of lighter-than-air craft (balloons, dirigibles, etc. ), they were used primarily for surveillance (as were the first powered airplanes in the early 20th Century). Then some clever sergeant put a gun on-board, followed by bombs and rockets. It now became an offensive vehicle. About mid-way though the century, wireless remote controls were developed and placed aboard, to guide the vehicle into harm’s way without endangering a pilot or crew. Examples included the “V-” series of German rockets. Later on, video cameras were added for greater accuracy and surveillance. 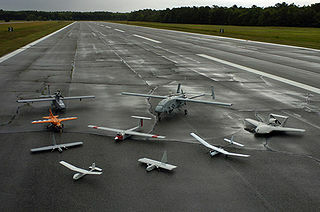 In more recent times, smaller “drones” were developed (see pictures). These were virtually silent, small, unobtrusive to “the enemy” and could conduct aerial missions for hours. But with on-board cameras, they could relay to a mother ship valuable data about troop movement, geographical and terrain landmarks, etc. During our latest wars in the latter ’90s and early 2000’s, these craft were also equipped with offensive armament along with cameras. Totally unmanned, they could not only peer into the heart of a battle scene but could also deliver “knock out blows” to enemy installations and troops. The remote operator could be located anywhere, even in the USA Heartland, and conduct an attack halfway around the world! Currently, many nations have and are using these unmanned craft. Israel alone has around 35 models and the United States has in excess of 90 different versions. 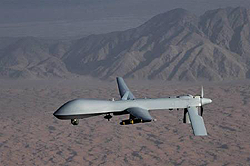 Kills in the recent Mid-East actions have been reported all over the news, especially those strikes in in the Afghanistan and Pakistan regions. 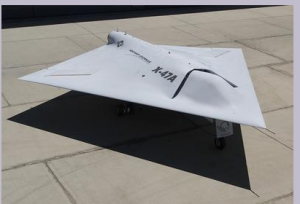 SO, how does the “Unmanned Warfare” concept fit into this equation? – – – thought you’d never ask. If the “rules of engagement” were changed to only allow one nation to seek and destroy another’s fleet of unmanned weapons, no one would be killed. Just destroy that dictator’s “toys” and YOU win! Hey, it could happen; in the Middle Ages, instead of carrying a war to the enemy, a king or baron would select his best knight, and they would joust another to settle differences. Only the losing knight would be (usually) wounded or killed; the winning king would go home victorious. 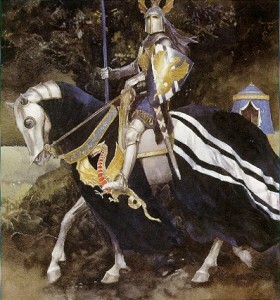 Today would be no different, just using mechanical knights and horses. Now, who wants to take this concept to the UN?